X-Com 2 seems to have clicked with me much more than the first game. I always appreciated X-Com as a decent turn-based strategy game but something about it just didn't quite click with my personal taste. I tried playing through a few times but always gave up, despite my general love of turn based strategy games. X-Com 2 generally plays the same but there's just enough differences that make me like it a lot more. I think the tactical battles are tuned to force players to play more aggressively, which is how I always played the original. I didn't realize until I saw complaints online but I guess most people played the first X-Com very slowly and defensively... I guess I was playing it wrong. X-Com 2 often has an objective with a timer that forces you to keep moving. I love it. I also never seemed to make good decisions in the strategy layer of X-Com between missions. Apparently there's one "correct" way to play it that I never figured out. In X-Com 2 it seems like any choices you make in the strategy layer are totally valid and it does a great job of actually highlighting the important optional missions to take on. Most of the complaints I've seen online come down to "I knew the perfect choices when playing X-Com and now I don't because the game is different." I bet this type of talk will calm down quickly as those people figure out the game further. 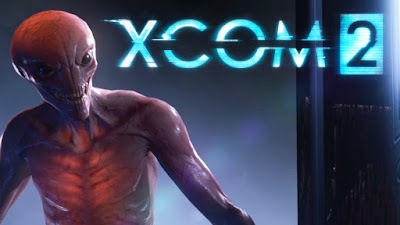 But, for people like me who never min-maxed X-Com... X-Com 2 has a lot to offer. Hopefully I'll stick with this one long enough to at least finish the campaign once. If I do I'll write up a full review. For now, I'm enjoying my time with it.